Around this time last year, Verizon celebrated the long-awaited arrival of The Force Awakens fittingly with a couple of limited edition Motorola Droid Turbo 2 handsets with themes tied to the star of the upcoming film. No word on any sort of follow-up promotion for Rogue One (though the Moto Z would lend itself well to a little space opera cosplay), but SoftBank customers in Japan will be able to get their hands on a pair of pretty solid tie-ins early next month. 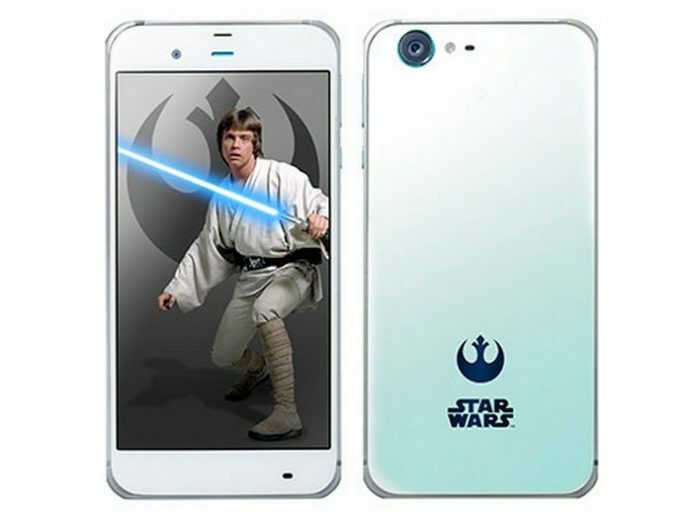 As their name implies, the pair of Sharp-produced Star Wars mobile phones are tied a bit more broadly to the franchise. There’s nothing specific to Death Star plan nabbing here, instead it’s just a pair of handsets tied to the dark and light side of the Force — so choose your allegiance closely, because you’ll be stuck with it for a couple of years at least. The 5.3-inch handsets come in dark and light colors, along with force-aligned Android 6.0 skins and live wall papers (X-Wing or Tie Fighter). There’s a movie player app that gives you free access to The Force Awakens, a Star Wars: Force Collection game and themed emojis and ringtones tied to the franchise. The phones also come with metal figurines taken from the upcoming Rogue One film. As for, you know, actual specs, they’re decent, with a Snapdragon 820, 3GB of RAM, a 3,000 mAh batter and 22-megapixel rear-facing camera. The phones will arrive in Japan on December 2.